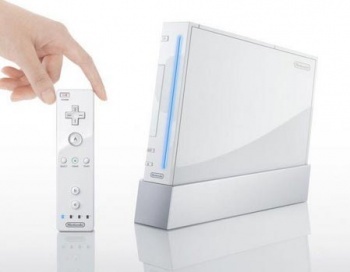 The Wii U is coming, but Nintendo says the original Wii still has a bright and viable future. On the off-chance that you're just coming out of a coma, yesterday's big news was all about the Wii U, as Nintendo lifted the lid on its forthcoming new console with an official launch date, pricing and other such information. But speaking in an investors call after the announcement, Reggie Fils-Aime said that for Nintendo, it won't be a matter of "New Console in, Old Console Out." "We will continue to sell the Wii," the Nintendo of America President said. "In the U.S., the Wii has sold about 40 million units. We believe that there continues to be an opportunity with the Wii." "I'm responsible for Canada, and Latin America as well. We think there's opportunity in both of those markets, especially Latin America," he added. Pricing will be a big factor in the Wii's continuing viability, he explained, noting that Nintendo will be able to sell the system at prices "we won't be able to reach with the Wii U." And while he expects the lower price point to drive sales in international markets, particularly Eastern Europe, he also thinks it will help keep the console relevant in the North American market as well. "We do believe there's still opportunity for the Wii, and we will continue to sell the Wii side-by-side for some period of time," he said. The original Wii is already pretty cheap - typically around $150 when bundled with New Super Mario Bros. - so I'm not sure how much more it could reasonably be expected to drop in the immediate future. Fils-Aime didn't offer any specifics, saying only that it "will drop", "soon." The Wii U launches in North America on November 18 at two price points: $299 for the basic bundle and $349 for the premium.